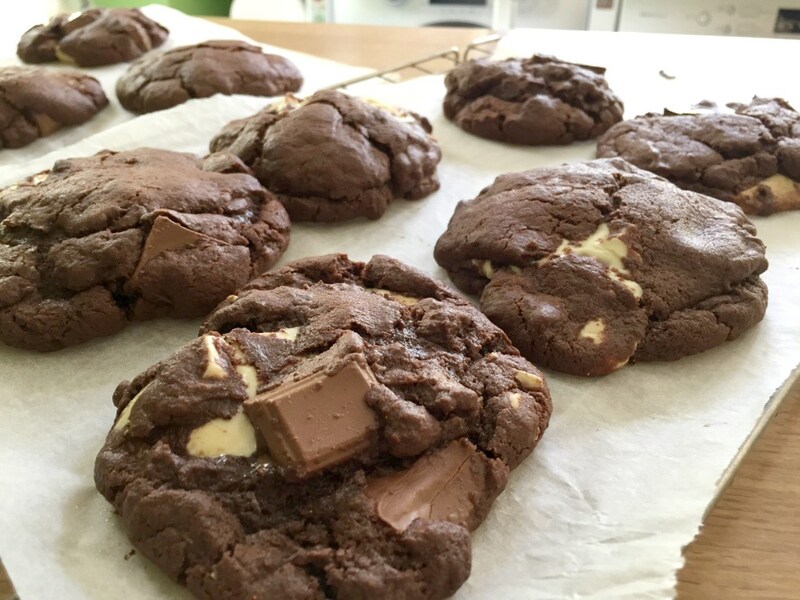 It has been what seems like a really long time since I have posted a baking post, so I thought right what can I bake to share with you! 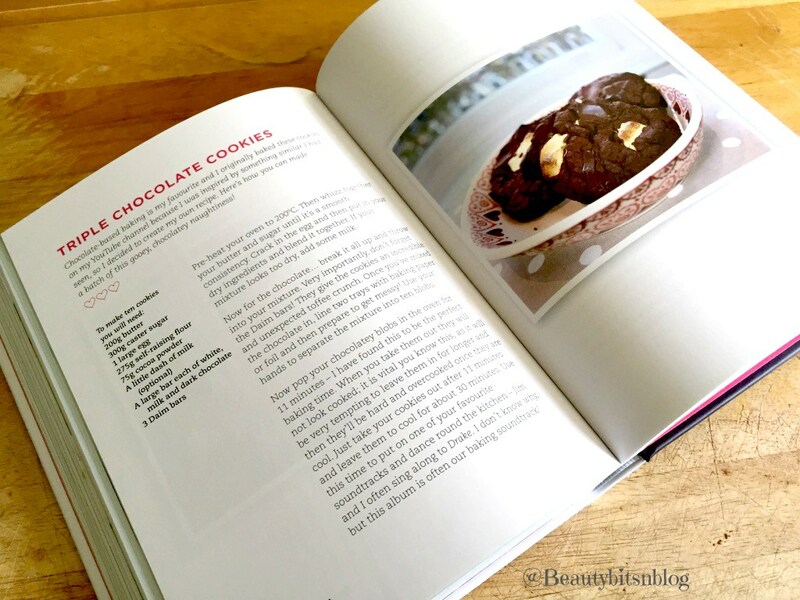 Then thanks to Tanya Burr, I remembered how many times I had seen people making her chocolate cookies and they looked amazing! So I grabbed out her book and got cracking! Large bar of white & milk chocolate. 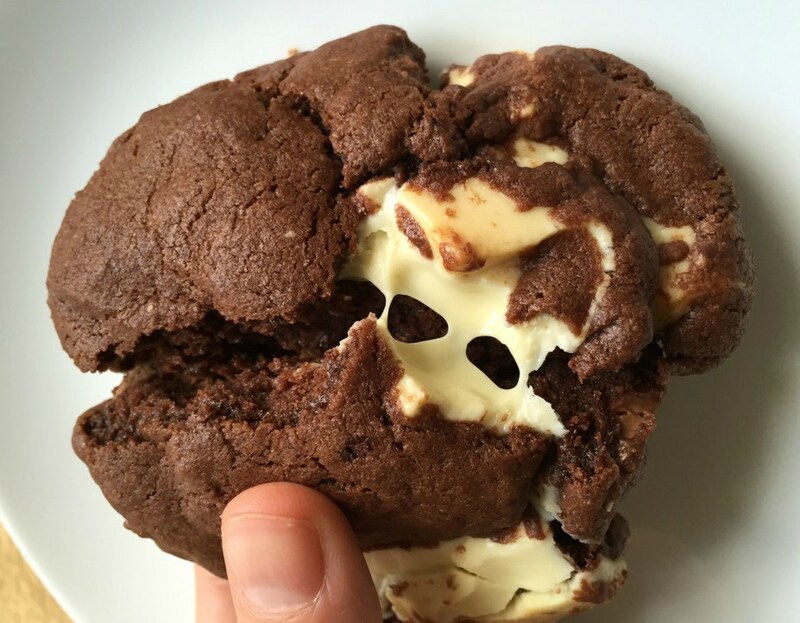 Preheat your oven to 200°C and line two baking trays with greaseproof paper ready for your chocolate cookies. 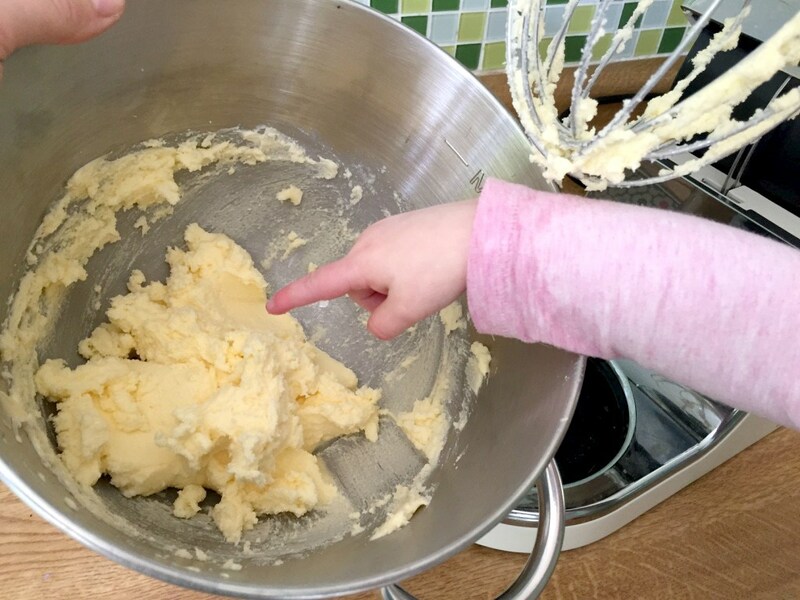 Beat together the butter and sugar until its light and smooth. I had little fingers helping me the whole time and trying to sneak a taste! 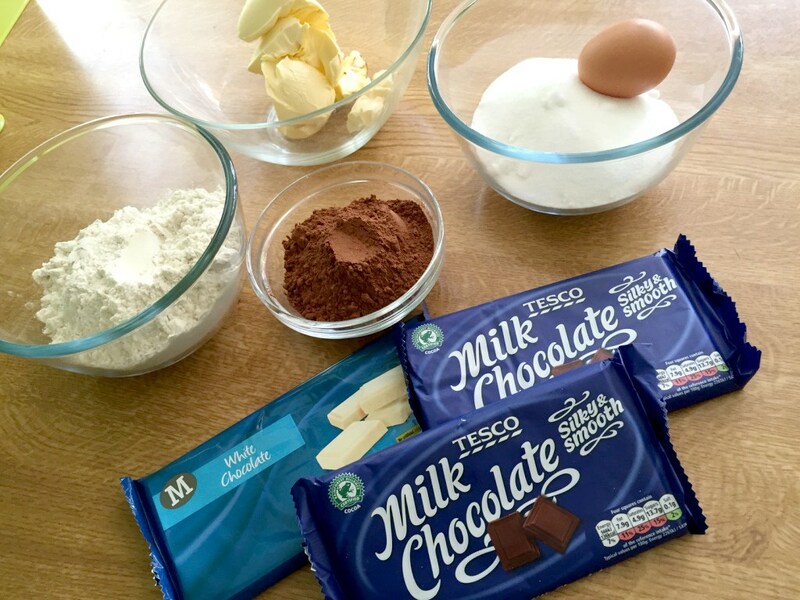 Add the egg and slowly add in the other dry ingredients and mix together, (I hope you are feeling strong at this point as I ended up with a very sore arm!). 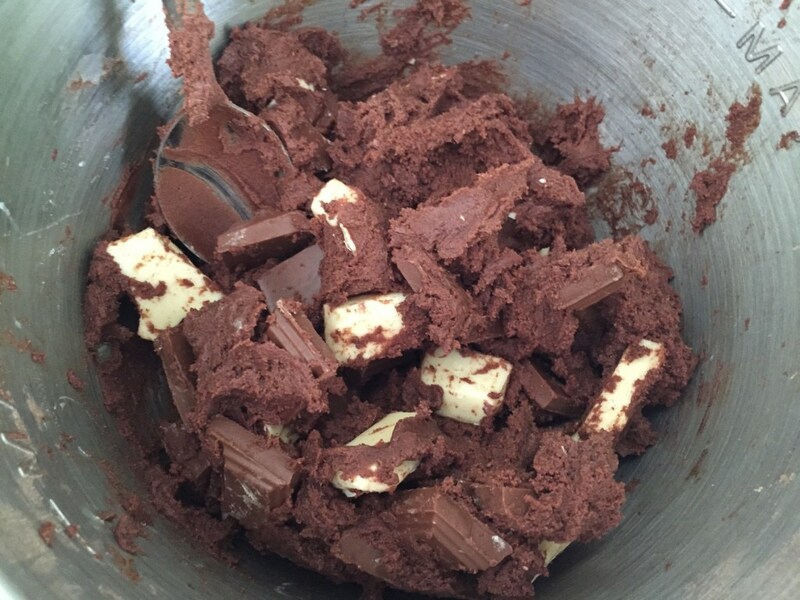 **BEST BIT** Break up all of the chocolate and add to the mixture and mix in as much as possible. 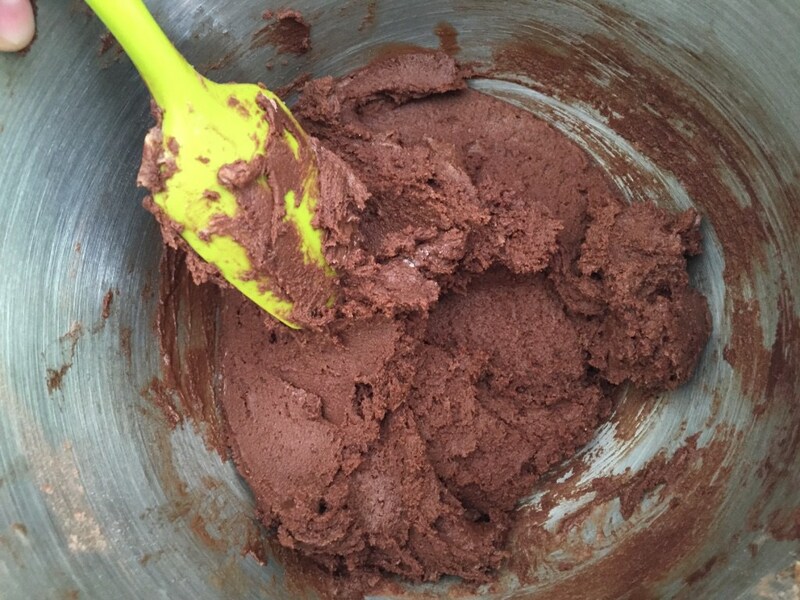 You will now be getting messy, separate the mixture out into ten blobs of chocolate mixture. Pop into the oven and cook for around 11 minutes! 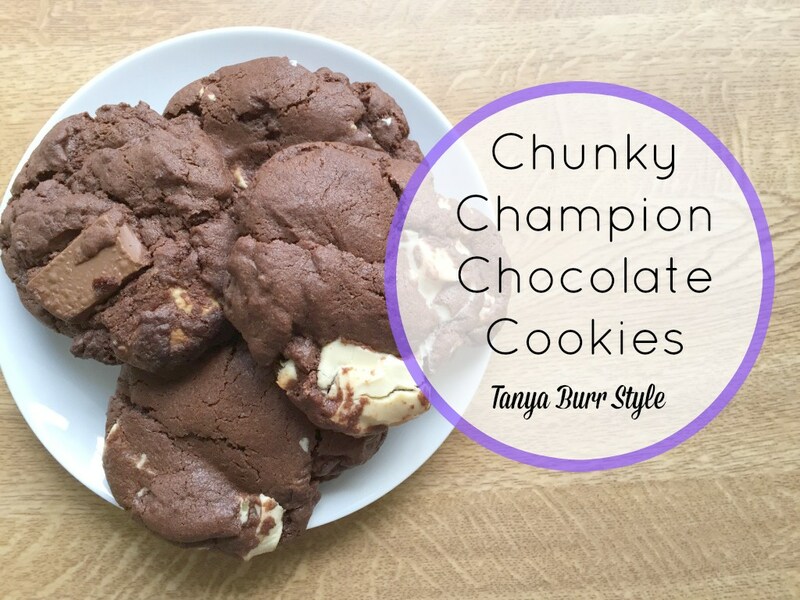 Tanya says that this is the perfect time for your chocolate cookies! 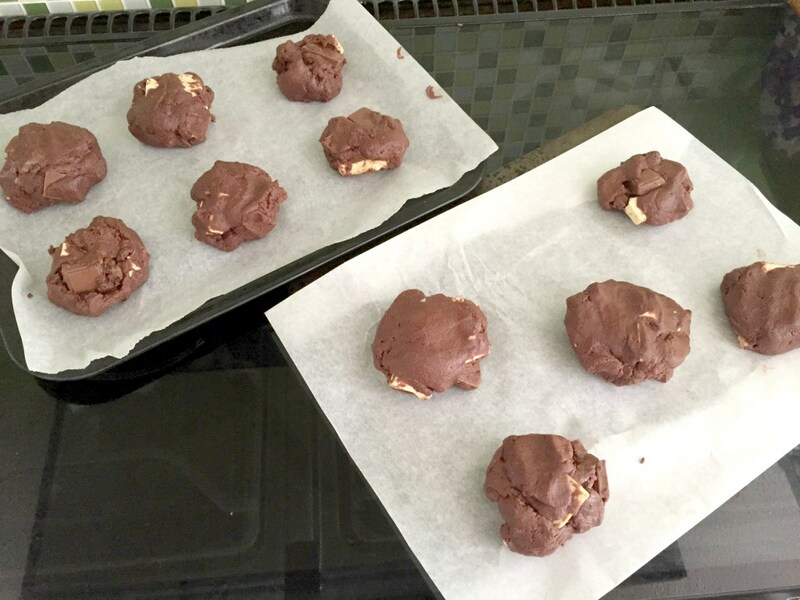 They may look not yet cooked but Tanya, is right take them out and allow them time to properly cool and this will give you the perfect cookies! :) I left them for about 40 minutes in total before trying some. How mouth-watering does that look gooey runny chocolate! Now Just Enjoy and share, if your feeling nice that is! 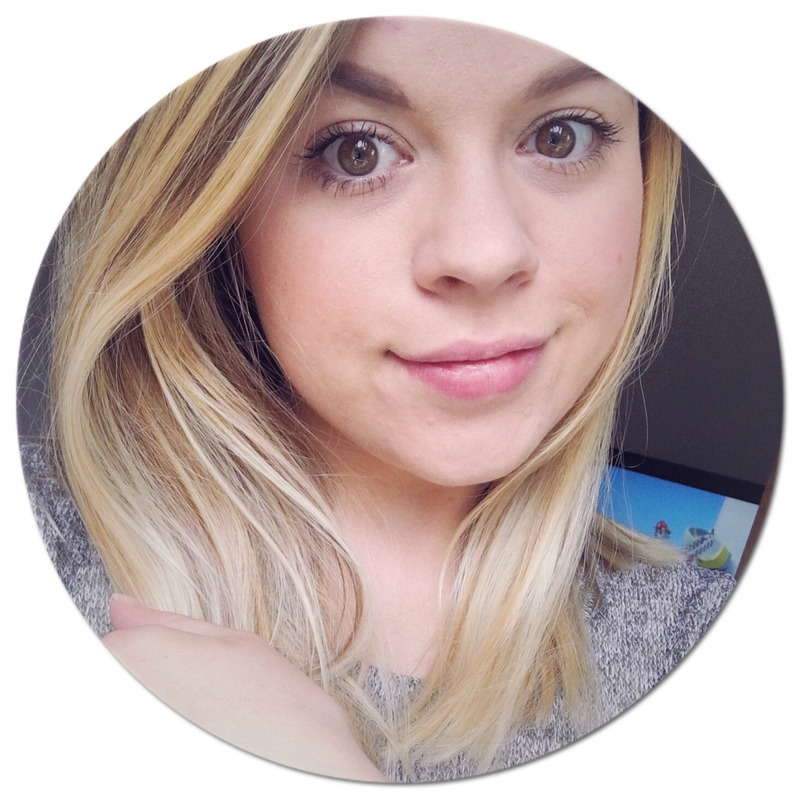 ;) Let me know if you have tried these before or if you are going to!